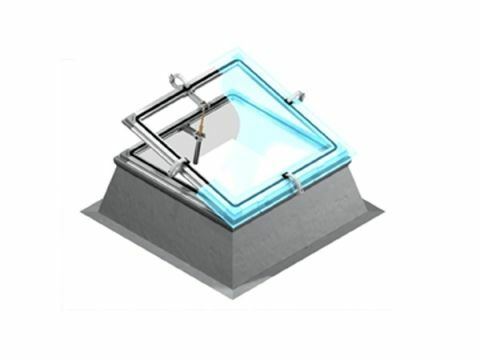 Domes and skylights can be provided with manual opening devices that can be applied on any supporting structure. These devices are realized with aluminium profiles (UNI9006/1), available for circular, square and rectangular shapes, and a screwjack actioned by a crank-handle available in different lenghts. According to dome or skylight dimensions, it is possible to install tandem manual devices constituted by two screwjacks connected to each other and actioned by a single crank-handle. In this case pushing mechanisms are positioned on the longest side of the frame.